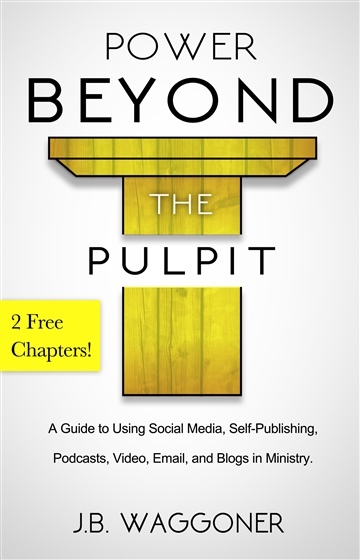 Power Beyond the Pulpit: A guide to using Social Media, Self-Publishing, Podcasts, Video, Email, and Blogs in Ministry. J.B. Waggoner is a producer, editor, and visual content creator. His work includes two feature films (most recently the movie “Brennan”), two documentaries, and hundreds of short-form videos and commercials for local and international businesses, non-profits, and brands. With Color Green Films, J.B. has also helped create and manage a nationwide movie tour, Ragamuffin Retreats, merchandising, and social media.